China. Just utter the word at a party and you’ll get an avalanche of responses, each one differing according to that person’s perspective. But there is one common thread…it’s one of the most intriguing places on the planet, and there are nine famous cities in China you must see. Claiming 5,000 years of history and culture, the discoveries of tea, silk, papermaking, printing, the compass, and gunpowder, Confucianism, through dynastic rule, and on to Communism, Chinese culture has made an impact on the world. The last few decades have seen not just an increase in tourism abroad, but with its own citizens as the middle class continues to see economic growth. The third largest country in the world, China is overflowing with interesting facts and places to see. Here are nine locations not to be missed. Beijing is definitely one of the best cities in China. Dating back to more than 3,000 years, Beijing is a city full of wonders. Originally known as Peking and origin of China’s most famous dish, Peking Duck, it is the capital of the People’s Republic of China. The city is located in northern China and is a contrast of modern urban architecture juxtaposed against the ancient hutong neighborhoods which still employ rickshaws to ride through the quiet warrens. At 100 acres, Tiananmen Square is the largest public square, accommodating one million people. I can attest to the enormity of the space and throngs of people…it’s the only time in China that I was separated from my group and “lost” for around an hour. With the help of locals (all of whom insisted on having a photo with the blonde American!) and another tour guide, I was reunited with my group at the far end of the square – the “front door” to the Forbidden City, a UNESCO World Heritage Site. The city is the world’s largest palace complex, with 980 buildings, complete with a wall and moat for protection. The Forbidden City hosted the imperial palace during the Ming and Qing Dynasties. It’s a virtual treasure trove of alleys and buildings to explore. Of course, no trip to China would be complete without a visit to the imposing Great Wall, and no better entry than at Badaling in Beijing, the highest point of the Guanagou Gorge. The wall is wide enough for ten people to walk alongside each other, and depending on when you visit, that will be the case. However, if you get to the wall at the opening time and you take the more difficult passage by turning left at the entrance instead of going right with the throngs, your efforts will be rewarded with phenomenal, unobstructed views of the mighty serpentine structure. In case you ever wondered why the wall was constructed in such a winding manner, it’s because Chinese mythology states that demons can only travel in a straight line! Originally called Chang’an (“eternal city”), Xi’an it is the oldest of China’s four great ancient capitals, serving as the capital of 12 imperial dynasties dating from 221 BC. It rivals Egypt and Greece as the birthplace of civilization and is the eastern terminal of the Silk Road. The highlight of Xi’an is the opportunity view the Terracotta Warriors, the most significant archeological excavations of the 20th century. Discovered in 1974, the UNESCO excavation site is a mausoleum of 8,000 life-sized ancient sculptures. Chongqing is the most populous Chinese municipality. It is a mountainside city in southwest China with sprawling urban high-rise architecture and served as the country’s capital during World War II. Experiencing over 100 days of fog per year, the city is also known as the “Fog City.” One of the main advantages of Chongqing is its strategic location at the joining of the Yangtze and Jialing rivers making it the perfect start or stop point for cruising the scenic Three Gorges. Overlooking the city is Ci Qi Kou Old Town dating back to the Ming Dynasty, and the Yangtze River cable car is also a great way to get a bird’s eye view of the expansive city. On the banks of the Yangtze River, Shibaozhai isn’t really a city, but a landing point to see the spectacular Buddhist temple of the same name, considered a national treasure. Perched on a craggy hill, the temple, known as “Precious Stone Fortress,” seems almost inaccessible. At times challenging, I did climb the 12-story spiral of rickety, aged wooden stairs to get to the red pavilion at the top. At the top of this sheer cliff, I was rewarded for my efforts with a spectacular 360-degree panorama of the Yangtze River and the surrounding countryside. The walk to get to the temple will take you through the local town and market where I found the best variety and price of local handicrafts and antiques in the country. Wushan sits at the western entrance to the Wu Gorge of the famed Three Gorges. The highlight is taking a sampan boat for a leisurely cruise up the Goddess Stream, a narrow sparkling green tributary of the Yangtze enfolded by vertical rock walls. The stream only became accessible after the construction of the recent Three Gorges Dam, so it has retained its unspoiled beauty and splendor, and offers jaw-dropping views of the towering craggy cliffs and dramatic scenery that you will not see anywhere else in China. Sandouping is the ending point of the Xiling Gorge and is the hopping off point to see the Three Gorges Dam – the world’s largest hydroelectric dam. The dam, built in 2011, was designed to control the destructive flooding of the Yangtze River. As an added bonus, the dam contributes around one-ninth of China’s electricity. Unfortunately, it was very foggy the day I was there, but even so, what I could see of the massive undertaking was impressive. Jingzhou would be unremarkable if not for its location as a transportation hub. Inside the city walls, there is an elementary school supported by Viking River Cruises which welcomes visitors. I, however, was very fortunate to get a unique opportunity to visit the local markets with head chef Danny Tang from Viking. I was the only non-Chinese person in the markets and it was an exciting and memorable time to learn about authentic Chinese ingredients and culture and to sample traditional street food. Wuhan is the capital city of Hubei Province and the financial, cultural, political and educational hub of central China, and is also the other gateway to the Yangtze Gorges. There are two main attractions here; one is the Hubei Provincial Museum which houses artifacts dating back to 433 BC. There are also musical bell performances at the museum, given for free to the public at various intervals during the day. The other attraction is the Yellow Crane Tower, inscribed with poems and a panorama of the river from the tower window. Ah, Shanghai, I saved the best for last. What once began as a tiny fishing village is now the largest city in China and the third largest in the world. The heart of Shanghai is the Bund, an upscale riverside boardwalk with colonial-era buildings on one side that have a distinctly European flavor. Lined on the other side of the Huangpu River is just the opposite – a sci-fi looking skyline. Your eye will be drawn to the pink spheres of the Oriental Pearl Tower and the lofty Shanghai. During the day, I loved walking and people-watching on the Bund, then taking refreshment in a tiny third-floor balcony of a mom-and-pop café overlooking the busy boardwalk. But nighttime is the best time on the Bund. The fluorescent, glittering cityscape across the river is spectacular! But do get there before 10 pm, because that’s when the lights go out, to the minute! Just a short walk from the Bund and you’ll be in Shanghai’s old quarter, where you’ll find the charms of past China. Narrow alleys, markets selling all kinds of old and new treasures, and street food vendors all play their part. In the center of it all is the rambling Yuyan Garden, with its traditional pavilions, winding paths, towers, grottoes and ponds dating to the Ming Dynasty. If you’re on a budget, here are some tips for backpacking in China. Click here for ease in getting your Chinese visa for Americans. Before setting out to explore the best cities in China, be sure to check out the bests apps for China travel. Here are some tips to help you travel in China. 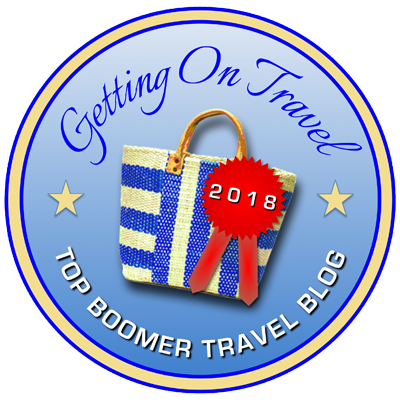 Disclosure: The author was honored to be the guest of Viking River Cruises as part of Boomer Travel Media during her stay in China, but as always, the opinions, reviews, and experiences are her own. Tagged beijing, china, Forbidden City, great wall of china, Jingzhou, shanghai, Terra Cotta Warriors, the Bund, the Three Gorges, Tiananmen Square, Viking River Cruises, Xi'an, Yangtze River. I have not been to China and this summary of places to visit is informative. There’s so much to see in China that my list would look rather different from yours! I would add Pingyao (intact walled city) and Ping An (gorgeous mountain scenery and rice terraces) and Yangshuo (karst landscape). Not disagreeing with any of your choices though! There are definitely some additional cities in China still on my list. However, having only 2 weeks, I chose Beijing, Shanghai, Xi’an, and cruising the Three Gorges and would highly recommend those for a first visit to China. As a lover of China and its wonderful people, I very much enjoyed the trip down memory lane as I was reading your article. And to think that there are many more Chinese cities which could be added to the list! Denis — there’s much to love about China and I still have a few more cities I want to visit! China has not yet made it onto my radar. I know I get there eventually, and will keep your post bookmarked for future reference. Thx! It’s really an amazing country, Doreen! I know you’d find China fascinating! I really wanted to read this post because of this nagging feeling that, being Chinese-Canadian, I SHOULD visit China. I’ve been avoiding it for ages due to the pollution in Bejing among other things. There are other reasons, but your post was really helpful. Certainly one place I would like to visit is Shanghai. I’ve heard it’s great but had not idea it was “all lights out” at 10!!! Janice — yes, there is quite a bit of pollution in Beijing and Ti’an, but not enough to make someone stay away from this country FULL of wonders. Shanghai was definitely my favorite. Have you ever visited a place and just felt kindred spirit with it? As for the lights out, it was a funny story… we’d heard to get there before 10 pm. We’d just arrived back at our hotel at 9:30 pm and literally ran all the way to the Bund (we’d already been there the previous afternoon). We just about had enough time to snap a few dozen pictures before the lights did go out!